A brand new TV spot for Avengers: Endgame gives fans a look at Brie Larson’s Captain Marvel taking flight in space. Marvel Studio’s Avengers: Endgame is just under two weeks away and a new TV spot for the upcoming blockbuster gives fans another look at Brie Larson’s Captain Marvel as she goes binary and flies through space, possibly into battle. Check out Brie Larson’s Captain Marvel soaring through space in the Avengers: Endgame TV spot below. The Avengers: Endgame TV spot begins with narration from Chris Evans as Captain America, which reminds the audience that this film is going to have stakes, but in expected Marvel, fashion ends with Bradley Cooper as Rocket Raccoon sending fans off with a moment of levity. 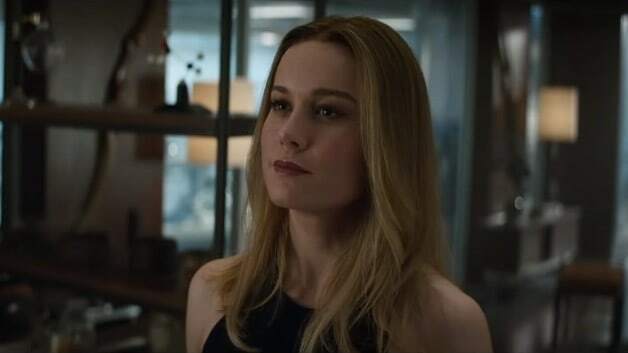 Fans have wondered about the involvement of Brie Larson in the upcoming Avengers: Endgame after the humongous success of Captain Marvel and from the latest push in marketing it looks like Brie Larson’s Carol Danvers could be the game changer to defeating Thanos. What did you think about the new Avengers: Endgame TV spot? Are you excited to see Brie Larson return to the big screen as Captain Marvel? Let us know in the comment section below!